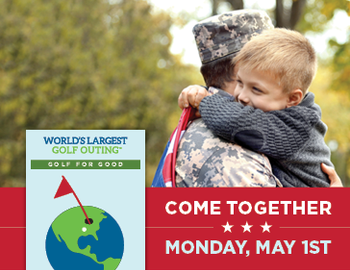 Sign up now for the World's Largest Golf Outing at Crawfordsville Golf Course. This years event benefits Fisher House Foundation and Arnie's Army Charitable Foundation. Click here to register or to make a donation. Fisher House Foundation - Fisher House provides a place for military families during loved ones hospitalization. Arnie's Army Charitable Foundation - Arnie's Army Charitable Foundation gives financially to institutions and organizations who help children, youth, families, the environment and communities.